Digital Advertising Industry Updates – Blink and You’ll Miss Them! The final week of September was the annual celebration of all things advertising with AdWeek in NYC. Big players in advertising use this time to make big splashy announcements. 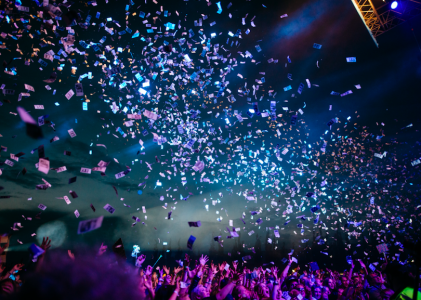 For the 2nd straight year, Google stole the spotlight with announcements for new AdWords features (in 2015 they announced customer match audiences). 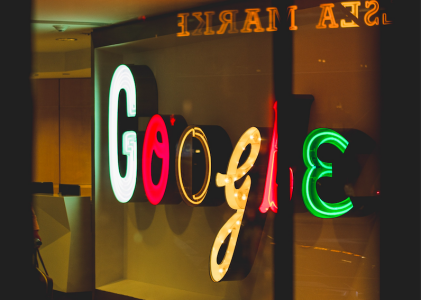 Google hasn’t slowed down either with more announcements after AdWeek. Interestingly, none of the other digital advertising platforms made many announcements during AdWeek. Don’t let that fool you. The past month or so has been full of announcements from all of the ad platforms in every flavor you can imagine. Every day it seems something else is thrown at us. Blink and you just might miss something important! So many goodies to choose from… where do we even start!?!? Demographics for search ads. On the Google Display Network (GDN) demographic bidding options have been around for quite some time. Heck – even Bing has had demographic bidding since… well, since before it was called Bing. Google took their damn sweet time. Cross-device retargeting. This is big. Facebook, Twitter and the major programmatic display platforms have had this market cornered for a while. Being able to remarket to a person regardless of device is significant. Google is unleashing this feature across GDN and Remarketing Lists for Search Advertisers (RLSA). Image credit Inside AdWords Blog. RLSA upgrade. Speaking of RLSA… now you can set cookie duration for up to 540 days. And my personal favorite update? Now you can set RLSA audiences at the campaign level instead of ad group only. Whew! AdWords Editor FTW! Google never slows down with product development for AdWords. This development pace is great, but Google rarely kept the pace up equally between the web interface and AdWords Editor. These days, Editor is still a step behind, but that step may be a month or 2 at most. Why is this included in an article about announcements? The last update to AdWords Editor included management tools for Gmail Ads, responsive ads, Universal App campaigns, device bid adjustments and MOAR!!!! Shopping ads in carousel format. On Monday 10/10 it was reported that Google was showing carousel-style Shopping ads across the board in the US, UK and CA (at least). This was reported by The SEM Post and appears to be legit! Not to be outdone, the folks at Bing Ads have been quite busy. 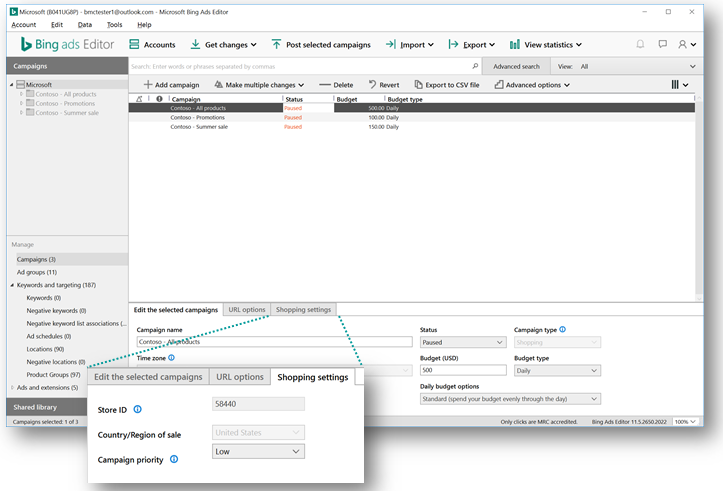 Shopping Campaigns in Bing Ads Editor. And the PPC gods rejoice! This has been a glaring omission since Bing Ads upgraded to the Shopping Campaign format over a year ago. Now you can create, update or delete Shopping Campaigns from Editor. Image credit Bing Ads Blog. Syndicated Partner Network expansion. Bing Ads entered into a huge deal with CBS Interactive at the end of September. What does that mean? CBS Interactive website properties will now be a part of Bing’s Syndicated Partner Network and will serve ads from Bing. What kinds of websites? CNET.com, Download.com, ZDSearch.com, Store.com and many more. Expanded Device Targeting is on its way. The past couple of years we’ve seen a yo-yo effect of device targeting features across both Google AdWords and Bing Ads. Earlier this year Google announced they would be allowing for advanced device bidding/targeting – and those changes are now live in AdWords. Bing is following suit and will be adding “Expanded Device Targeting” soon. Yahoo may be going through some serious struggles (data breach + deceit = unhappy users and suitors), but that isn’t stopping the development train that is Yahoo Gemini. Search retargeting for native ads. Yahoo’s native ad platform is already full of robust targeting features – keyword, interest, demographics, retargeting and custom audience targeting (email, app ID’s, etc.). 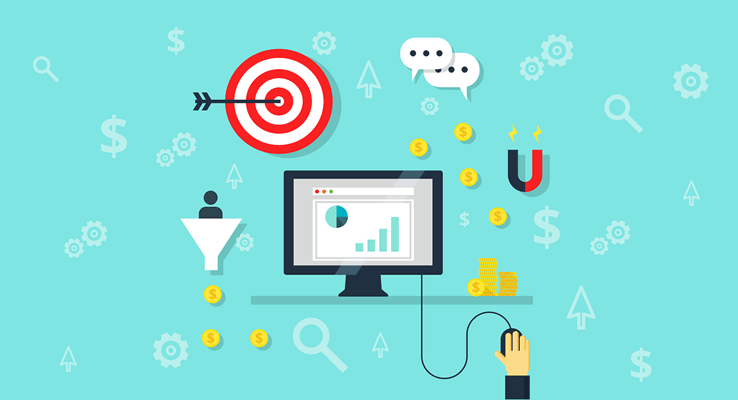 Now they are adding an extra flavor with search retargeting – or more accurately, search intent targeting. 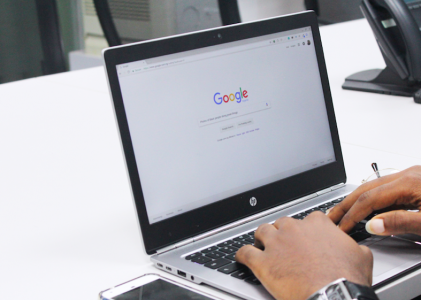 You plug in keywords to serve ads to individuals who have done searches on said keywords – regardless of whether they’ve been to your website or have engaged with you or not. AdWords import feature. 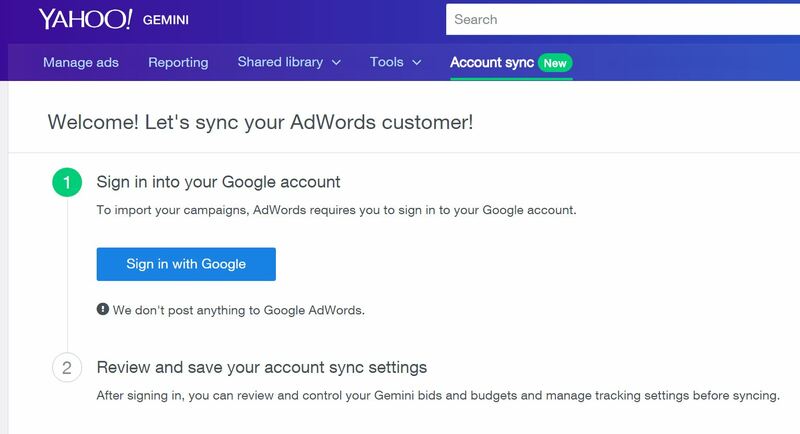 It has been possible to upload AdWords campaigns into Yahoo Gemini for quite a while now. The problem is that this was exclusively a bulk spreadsheet exercise that was clunky and inefficient at best. Yahoo has adopted the “import from AdWords” strategy that Bing deployed a few years ago where you can simply plug in your AdWords login credentials and choose the campaigns you want to import. Easy-peasy. Does Facebook ever truly stop developing their ads platform? Seems as though something crops up weekly. That being said, some of those updates stand above the rest. Blueprint Certification. Google AdWords has their “Certified Partner” tests. Bing Ads has their own “Certified Professional” tests. Now, Facebook has the “Blueprint Certification” test to brag to your friends (or clients) about your mad FB Ads skills. Bridging the gap for online vs offline sales. Facebook Ads has seen a lot of success with their Dynamic Product Ads for e-commerce. Now it is possible to tie-in local availability, varied calls-to-action and similar products based on in-store activity (creeped out yet?). 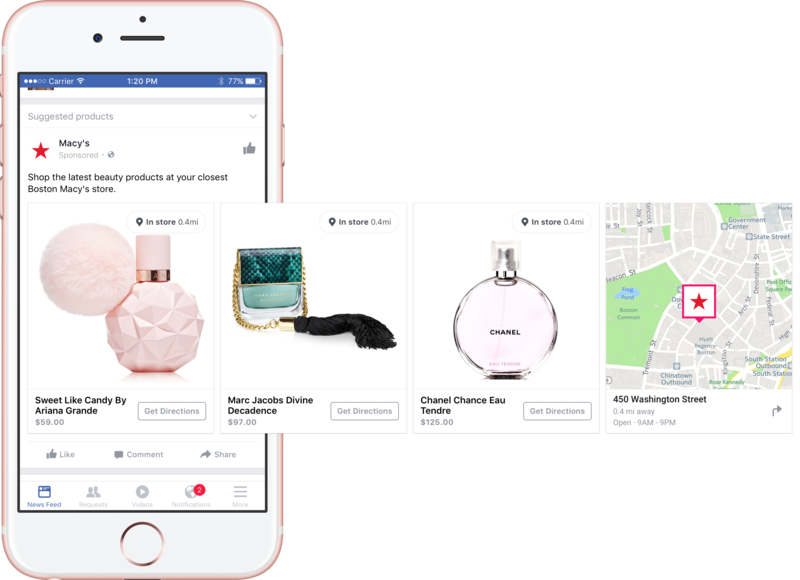 Along with the new dynamic ad unit, Facebook has added a new campaign objective specifically for brick-and-mortar stores. Image credit Facebook Business Blog. Gettin’ super nerdy with measurement. If you really want to see why Facebook has become a real leader in the advertising space, look no further to the partnerships they are building for data and measurement. Power Editor feature additions. Can anyone say, “find & replace!”? Seems like a small change, but it is HUGE for working in bulk within Power Editor. The whole Power Editor interface has undergone a series of face-lifts in recent weeks to include more bulk-edit functionality, a streamlined campaign creation process and more. Enhanced Custom Audiences. When Facebook first launched custom audiences, it was email addresses only. Then quickly they added phone numbers and app ID’s. Match rates for these pieces of information have been OK – and only OK. Facebook set out to make match rates better by deploying enhanced custom audiences. That means you can now upload first name, last name, email, phone, zip, city, state, country, date of birth, year of birth, gender, age, app IDs… and you get the picture. In short – match rates have gone WAY up! Audiences for Engagement. Audiences EVERYWHERE! Retargeting and custom audiences simply aren’t enough when you consider all of the ways a user can engage with you on Facebook. Enter Engagement Audiences. 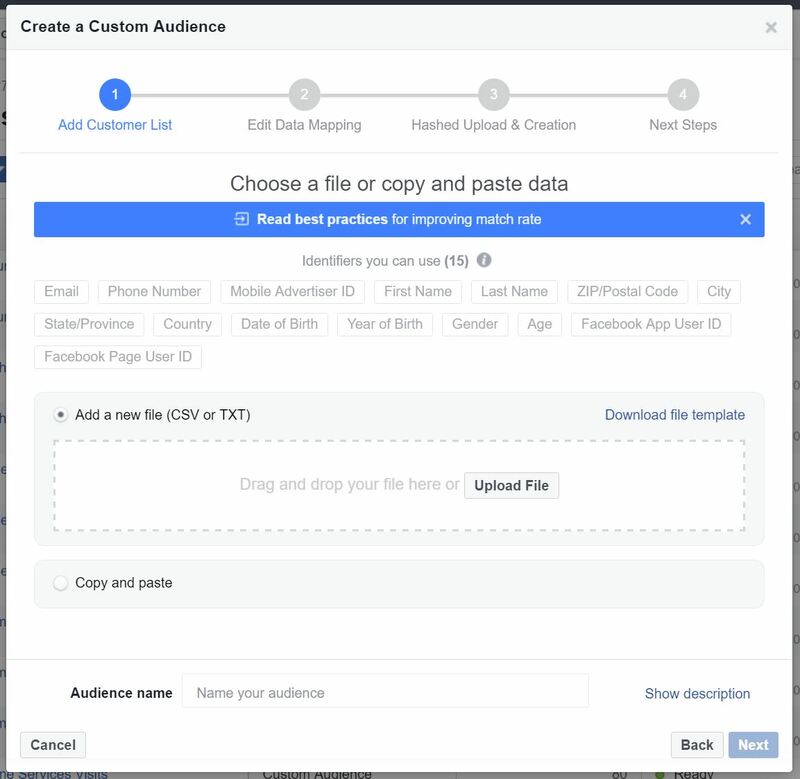 This feature isn’t exactly new – the ability to build audience based on Facebook video views has been around for a while. What IS new and VERY exciting is that now you can build custom audiences based on Lead Ads interactions (form opens, form submits, etc.) and Canvas interactions. If the rumor mill is true, soon there will be an engagement audience for link sharer’s as well (hat tip to Wordstream and Jon Loomer)! Twitter just can’t seem to catch a break and the endless tech news cycles keep spelling doom and gloom for Twitter. The silver lining is there are some very exciting possibilities of other tech giants buying Twitter or Twitter shifting to some sort of non-profit platform. Nobody (publicly) knows what the future holds, but Twitter Ads is still humming along. Refreshed user interface. Over the past few months, Twitter has been pushing their new user interface live for advertisers. This is the first upgrade to the interface since August of 2014 – and this was definitely a needed update. What’s new? You can customize your view, adjust data columns and save presets, easily export data based on exactly what you see in the dashboard and you can now view your campaigns across every level – campaign, ad group, ad, targeting, etc. 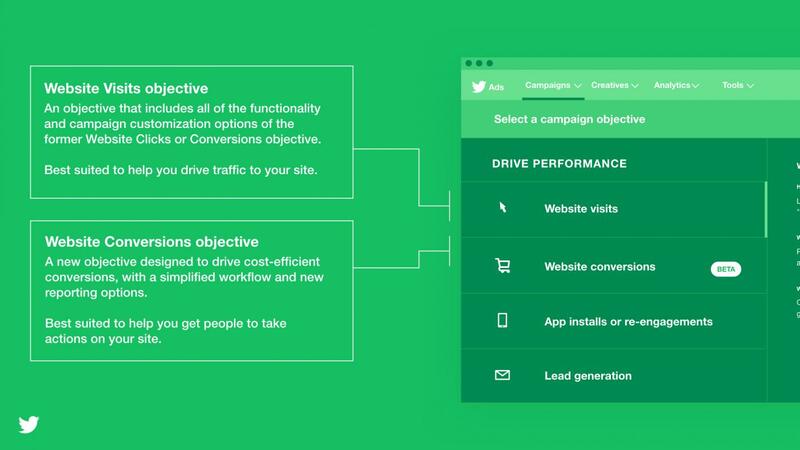 Important split of Website Visits vs. Website Conversions objectives. Twitter was first to market with “campaign objectives” that gave their platform flexibility in changing feature sets, ad formats, etc. based on the objective of your campaign. Facebook followed suit, of course (to the happiness of advertisers everywhere). All of that being said, Twitter made something of a mess by creating the “Website Clicks or Conversions” objective that has unfortunately blurred conversion data. No more. Twitter has released separate Clicks vs. Conversions objectives into beta and it is assumed this will roll out to everyone else in short order. For LinkedIn, now owned by Microsoft, the sky is the limit for future development. LinkedIn has long been a treasure trove for B2B advertisers, and those advertisers have been willing to shuck out high CPC’s for the targeted audience despite a HUGE lack of important features. Conversion tracking? Retargeting? And that’s just the tip of the iceberg. Well, hope you’re holding onto something, the LinkedIn Ads growth roller coaster is just beginning. Conversion tracking. For a long time conversion tracking was the “what the heck!! !” feature missing from LinkedIn Ads. No more. And it appears (repeat – appears) to be teeing up future retargeting features as well. Why? This is a universal pixel that you install across your entire website – then create URL or event rules to track conversions. Image credit LinkedIn Marketing Solutions. Account Targeting. Admittedly, when I first read the announcement I thought this was LinkedIn’s first foray into custom audiences. Sadly, no. This is a unique way for sales teams to target their “key accounts” – in other words, fancier company targeting at scale. C’mon LinkedIn – your advertisers are screaming for you to catch up with the competition. You can do it! John is an internet marketing jack-of-all-trades with expertise in PPC, SEO, and social media marketing. Working in the search marketing industry since 2006, John spent time at Hanapin Marketing, Wordstream and Clix Marketing before joining Microsoft / Bing Ads in late 2016. John is also an avid blogger, and has been featured on Search Engine Watch, The SEM Post, ClickZ, Clix Marketing blog, Wordstream blog and PPC Hero. He is also a speaker for SMX, SocialPro, ClickZ Live, HeroConf, Ticket Summit, MN Search Summit, Zenith and State of Search. Are you Ready for AdWords’ Expanded Text Ads?